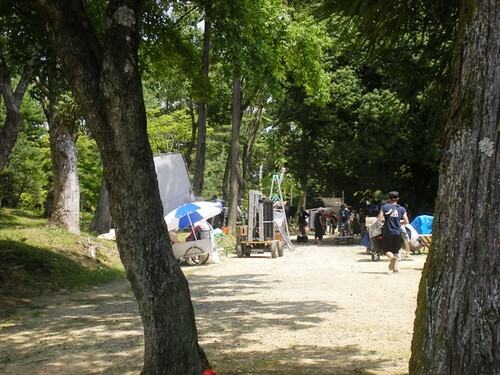 A few lucky visitors got a peek of a movie being filmed here at Ninna-ji last month! The filming was done near the five-storied pagoda. When I heard about the location and that they would be shooting all day, I was curious what they would do about visitors to the temple walking into that area. I was surprised at how nice the film crew was! They did not object to people watching, just told the onlookers when to move so as not to be in the shot or reminded people to not take pictures. I’m not sure that anyone could tell what movie it was or who the actors were, but quite a few people stopped to watch while I was there. Since I was under the same rules as the other onlookers, I’m afraid that I can’t offer you any pictures of the actual filming. I did snap this shot after most of the staff and actors had left the set, you can see some equipment and a large reflector used during filming. 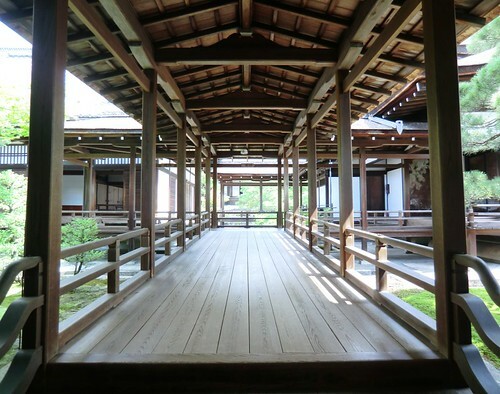 Ninna-ji has been a filming location for other movies and TV shows as well. The temple offers not only beautiful scenery, but the temple grounds are also free of utility poles and telephone lines, a notable convenience for filming historical fiction. The movie came out on DVD and BluRay this spring and is available for rent here in Japan. 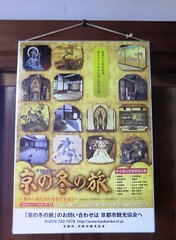 Several Kyoto temples were used to help create interior shots of the castle and other scenes in the movie. You can find a map featuring the locations used for the movie featured here on the Leaf website (Leaf is a travel and leisure magazine for Kyoto and Shiga). There are also pictures of the locations as they appear in the movie! There are so many things to see in Kyoto that it can be difficult to narrow down where to go. The next time you have a hankering for some Kyoto sightseeing, why not try picking a theme like “movie locations”? Maybe you’ll be able to “feel the presence” of a famous person, too!